Cannabinoid type 1 (CB1) receptor antagonists are reportedly effective in reducing food intake both preclinically and clinically. This may be due in part to their effects on monoamine release in the brain. The level of central CB1 receptor occupancy underlying these neurobiological effects is unclear. 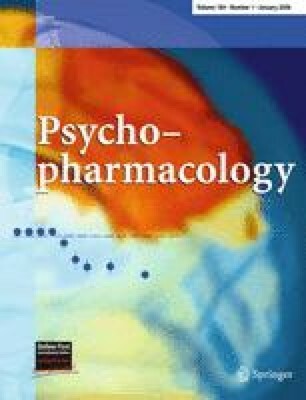 We explored the relationship between in vivo CB1 receptor occupancy in the frontal cortex and changes in both monoamine release in the medial prefrontal cortex (mPFC) and feeding behavior in rats in response to two orally administered CB1 receptor antagonists presently in clinical trials, SR141716A (rimonabant) and SLV319. CB1 receptor occupancy was measured using [3H] SR141716A, and these occupancies were related to potencies to mediate increases in dopamine (DA) and norepinephrine (NE) release measured with microdialysis and decreases in consumption of a highly palatable diet (HP). High receptor occupancy levels (>65%) were required to detect increases in monoamine release that were achieved with 3 and 10 mg/kg of SR141716A and 10 mg/kg of SLV319 for DA and 10 mg/kg of SR141716A for NE. Decreases in HP consumption were seen at occupancies higher than 65% for SR141716A that were achieved with 3 and 10 mg/kg. In contrast, decreases in HP consumption were seen at relatively low CB1 receptor occupancies (11%) for SLV319. The occupancy method described here is an effective tool for interrelating central CB1 receptor occupancy with neurobiological actions of CB1 receptor antagonists and for furthering our understanding of the role of CB1 receptors in central nervous system physiology and pathology.